This has already hurt presidential candidate Sen. Kamala Harris, the California Democrat. She made it clear she wants to get rid of private health insurance. "Let's eliminate all of that," Harris said. "Let's move on." Democratic Gov. 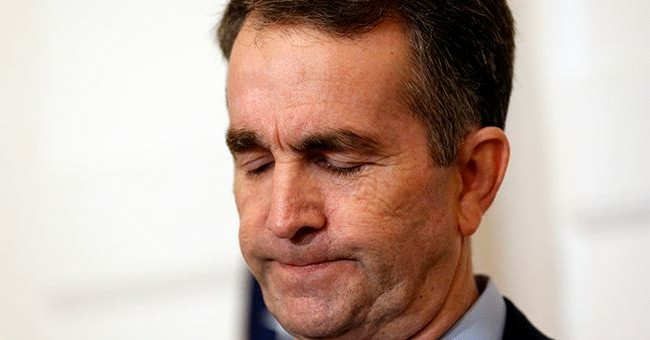 Ralph Northam, who won office accusing his opponents of racism, apologized for being in a racist medical school yearbook photo. Then he said he wasn't in the photo but had worn blackface for a Michael Jackson dance contest in the 1980s. He almost moonwalked for reporters until his wife stopped him. Then Virginia Attorney General Mark Herring, a Democrat, admitted he, too, wore blackface in the' 80s. And the beneficiary of all the chaos, Democratic Lt. Gov. Justin Fairfax, was ready to succeed Northam when he was accused of sexual assault.